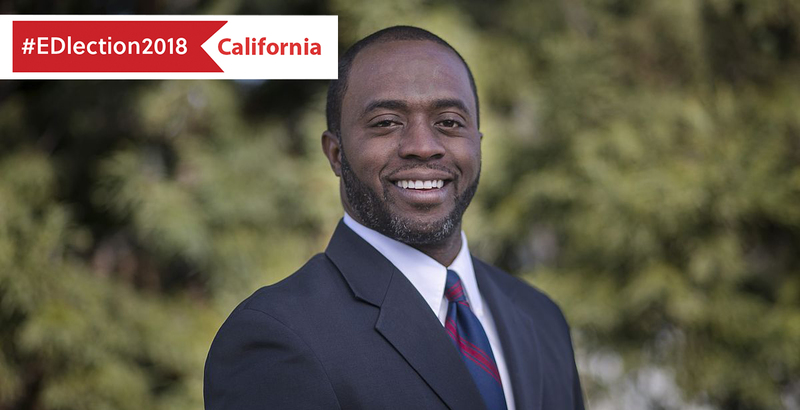 Eleven days after the election, Tony Thurmond accepted a concession call from Marshall Tuck and will become California’s state superintendent of public instruction. A spokesman for Tuck’s campaign confirmed Sunday that the race was over and that Tuck had conceded Saturday morning in a phone call to Thurmond. I want to thank the voters of CA for electing me to serve the 6 million students of CA. I intend to be a champion of public schools & a Superintendent for all CA students. I want to thank Marshall Tuck for his gracious call to congratulate me & wish me well. Time to get to work! Thurmond, 50, is a state assemblyman and a former social worker and school board member in the San Francisco Bay area. He had the backing of the powerful teachers union and other organized labor groups throughout the state. Every state superintendent in the past 24 years has won with teacher union support. Tuck, 45, had an 86,000-vote lead after Election Day, but as provisional and mail-in ballots were counted, that margin evaporated, and Thurmond’s lead is now nearly three times what Tuck’s was. Results will not be official until all votes are counted — about 2 million remain — and are certified in December. The state superintendent job lacks partisan affiliation, carries little statutory power, and has not historically set its occupants on a path to higher office. But the record $60 million spent on the race proved it was a sought-after bully pulpit. A win for Tuck would have given education reformers a public counterweight against Gov.-elect Gavin Newsom, the new state board of education that he will appoint, and the Democratic majority in the state legislature — all of which were elected with union backing. The race centered on California’s debate over school choice, pitting Thurmond against Tuck, who was supported by the California Charter Schools Association Advocates and wealthy reformers. Both are Democrats, oppose for-profit charters, and called for more transparency measures. But Thurmond suggested that a “pause” on new charter schools might be necessary until new revenues are found to offset the dollars that districts lose when their students move to charters. Tuck argued that school districts should not be allowed to reject new charter petitions because of the financial hardship that might result. Both candidates also agreed on adding more recognized subgroups of students who are underachieving — such as African Americans — to the state’s Local Control Funding Formula, which provides additional funding for English-learning, low-income, homeless, and foster students. They also agreed on free preschool for all children across the state and additional mental health support for students. But Tuck had vowed to fight for changes in how school districts are allowed to spend the extra funding. The current superintendent has said the money can be used for across-the-board raises for teachers. Tuck vowed to end that. Thurmond declined to say if he would continue it, CALmatters reported. EdVoice is a California education advocacy organization that supported Tuck’s campaign. The heated contest featured disputes over negative advertising and became the most expensive race in the nation for a state superintendent — for the second time. Tuck narrowly lost in 2014 to Tom Torlakson, who served two four-year terms and is now termed out. That race cost $30 million. This time, the candidates raked in twice that — more than any House race this cycle and all but a handful of the most expensive Senate races. Tuck took in the lion’s share, outspending Thurmond roughly 2-1. Tuck was president of Green Dot Public Schools, a nonprofit charter management organization started in 1999 in Los Angeles, as well as the founding CEO of the Partnership for Los Angeles Schools, a network created a decade ago by former Los Angeles mayor Antonio Villaraigosa after his failed attempt to take over the Los Angeles Unified School District.